In the last post we performed additional configurations. In this post we will create and configure Update Baselines to apply updates to our Hyper-V cluster. 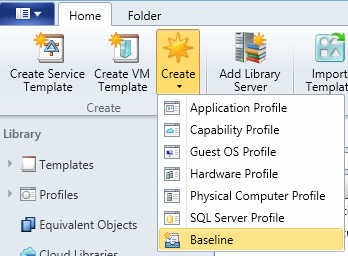 Launch the VMM console, if it isn’t already open, and navigate to Library > Update Catalog and Baselines > Update Baselines. You should see two built-in baselines named Sample Baseline for Security Updates and Sample Baseline for Critical Updates. 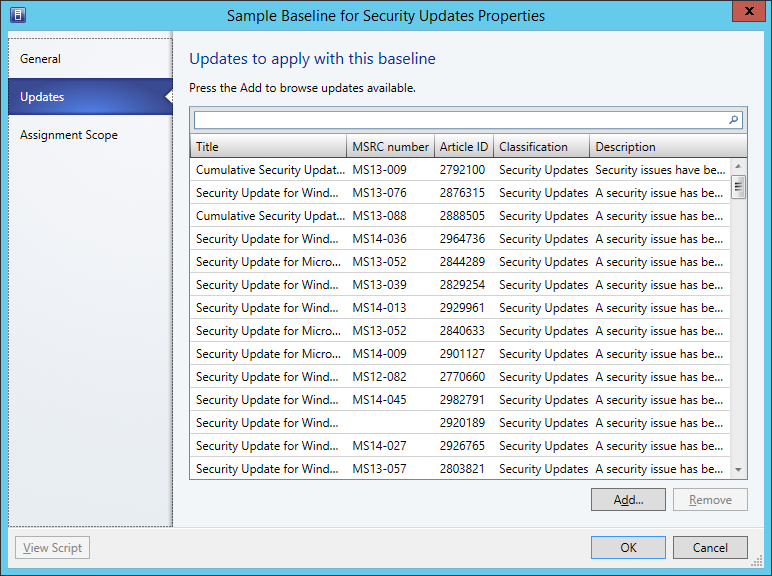 Click on the Sample Baseline for Security Updates. In the top menu, click Properties. 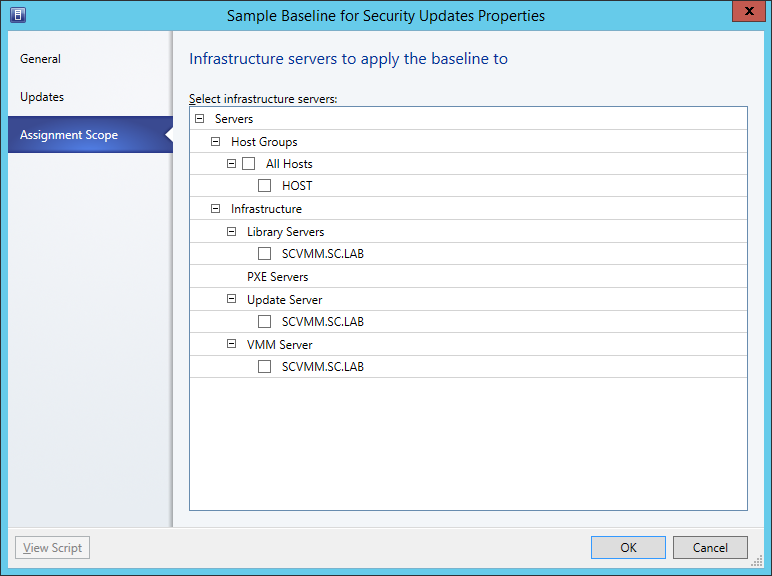 In the Baseline Properties dialog, select the Updates menu from the left. This will list the updates that are a part of this baseline. From here you can Add/Remove Updates. Next, click on the Assignment Scope menu on the left. From here you can select host groups, host clusters, and computers to add to the baseline. After you have made your changes/assignments, click OK.
You can also create your own Baseline, by clicking on Create > Baseline from the top menu. 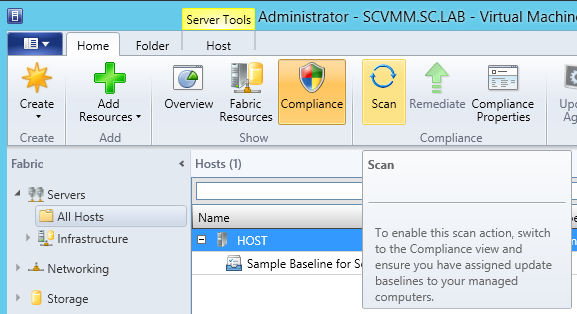 Now that we have a Baseline assigned to our Hyper-V Host, let’s examine the Host’s compliance. Navigate to Fabric > Host Group > and select a Host. Click on the Compliance button in the top menu, and then click Scan to initiate the compliance check. Once the Compliance Scan has completed, the console will show the Compliance Status for the Host(s) scanned. In my Lab example, my Host is showing as “Non Compliant”. At this point, you can click on the Remediate button from the top menu. 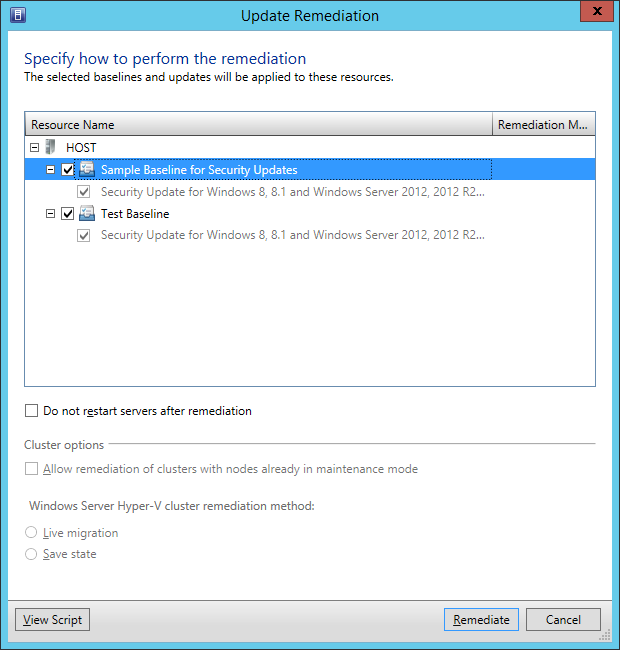 This will launch the Update Remediation dialog. Within this dialog, you can select the Update(s) to apply to Host(s) to bring it into compliance, and then click Remediate. This concludes this series on Patching Hyper-V Hosts with SCVMM 2012. As always, if this post helped you in any way, and you would like to show your appreciation, please rate it, comment on it, and share it with others. Also, feel free to contact me (via the About Me page) with requests for future articles. In our last article we reviewed and setup the Prerequisites. 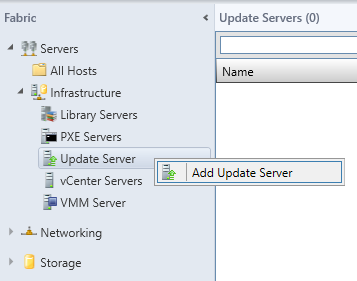 In this article, we will finish with WSUS configuration, synchronize the updates, and connect WSUS to VMM. Now that we have WSUS installed, we need to sync updates with Microsoft. 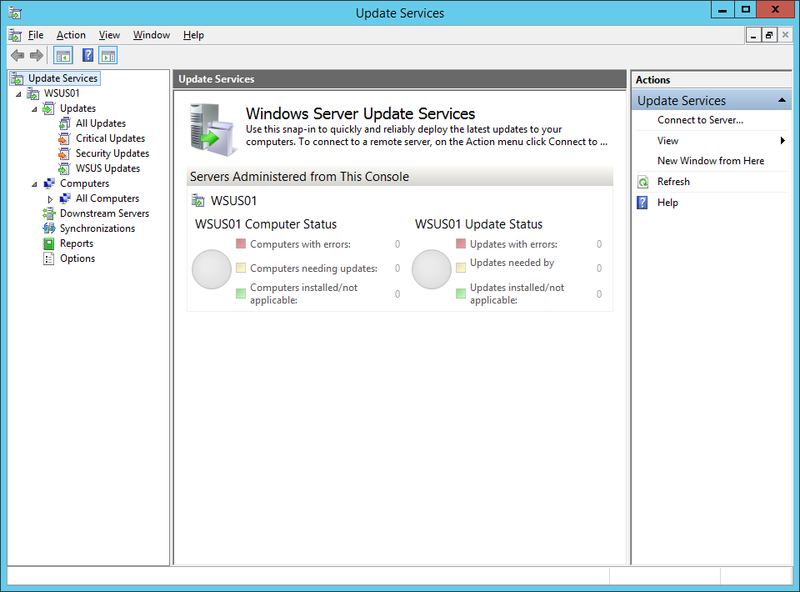 Start by launching the Windows Server Update Services console. The WSUS Console may take a moment to load, but eventually you should see the following. In the menu on the left, select Options. Within the Options menu in the center, click on Products and Classifications. 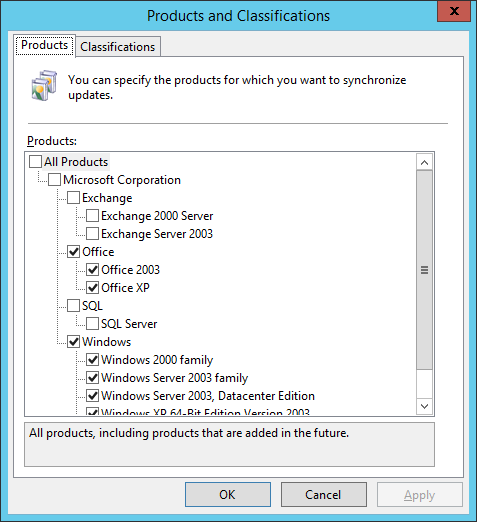 On the Products and Classifications dialog, only enable the updates you require, then click OK. For example, if you only have Windows Server 2012 R2 Hyper-V Hosts, you will not need to sync the updates for Windows Server 2003, etc. So do not synchronize these ones. The same principal applies to the Classifications as well. Back in the WSUS Console, select Synchronizations in the menu on the left, and then in the Actions menu on the right, click Synchronize Now. 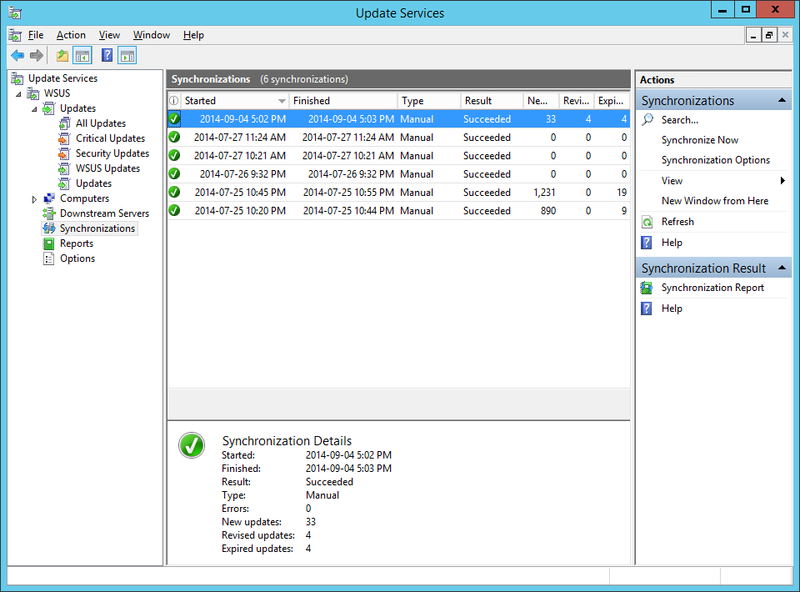 It will take a while for the metadata from Microsoft to be sync’d with the WSUS server. Now that the Updates are synchronized, we can move onto the next part. Unless you installed WSUS on the VMM server, you will need to install the WSUS Console on the VMM Management Server in order for it to be able to communicate with, and thus use WSUS for updates. You can download the Windows Server Update Services 3.0 Service Pack 2 installation files from the following location: http://www.microsoft.com/en-us/download/details.aspx?id=5216. Important: If you are following these steps on Windows Server 2012, you cannot install the WSUS Console with this installation file. 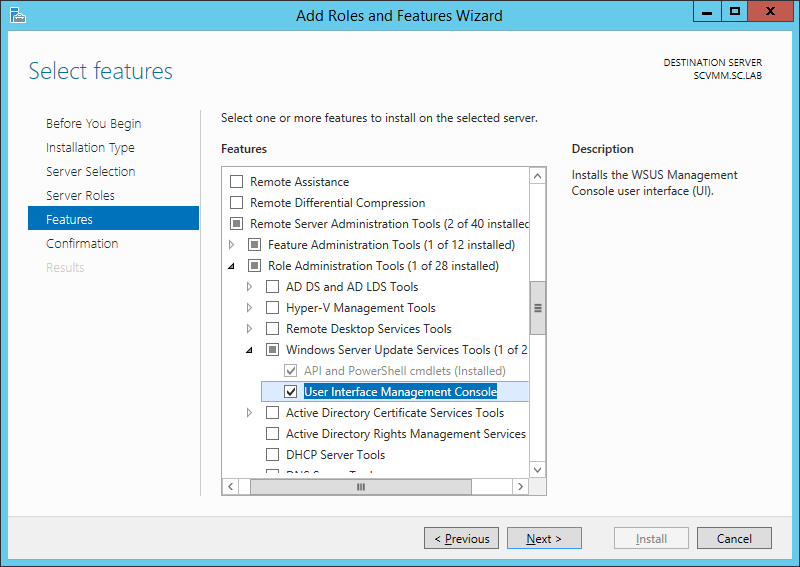 Rather, you have to use the Add Server Roles and Features option instead (Features > Remote Server Administration Tools > Role Administration Tools > Windows Server Update Services Tools > User Interface Management Console). When you run this installation file, ONLY choose the Console option, and not any server-components. 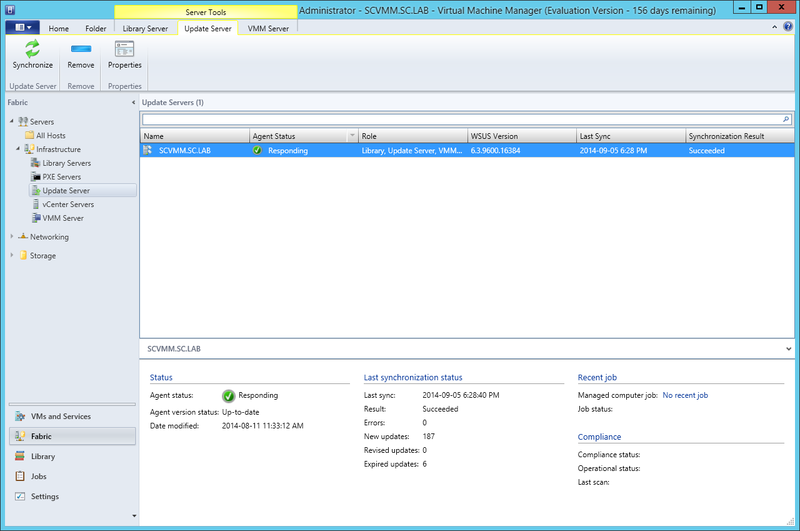 After the WSUS Console has been installed on the VMM Management Server, you will need to restart the System Center Virtual Machine Manager Service. Now that we have the WSUS Console installed on the VMM Management Server, and have restarted the VMM Service, start by launching the VMM Console. 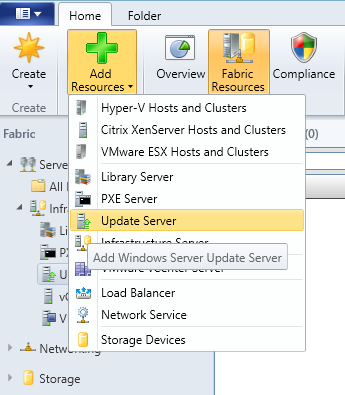 Navigate to the Fabric Workspace, expand Servers > Infrastructure and select Update Server. 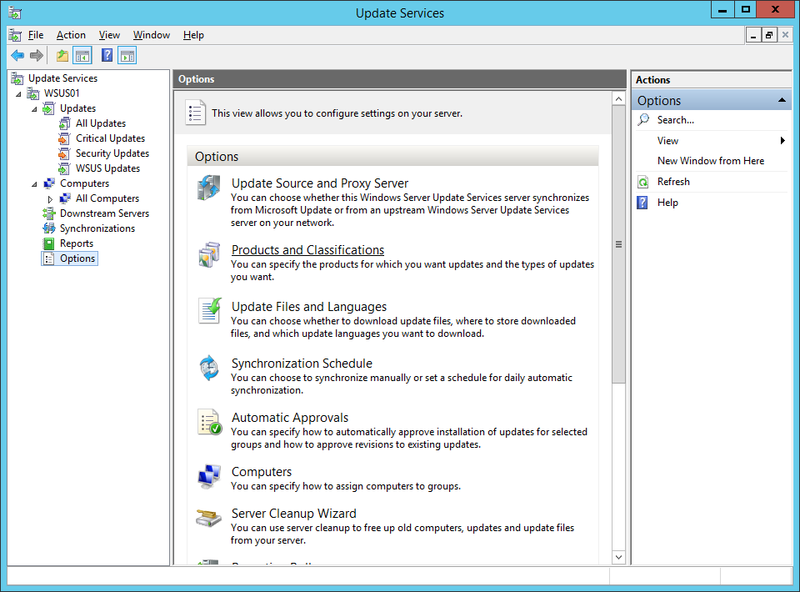 Either from the top menu (via Add Resources > Update Server), or by right-clicking on Update Server (Add Update Server), launch the Add Windows Server Update Services Server dialog. 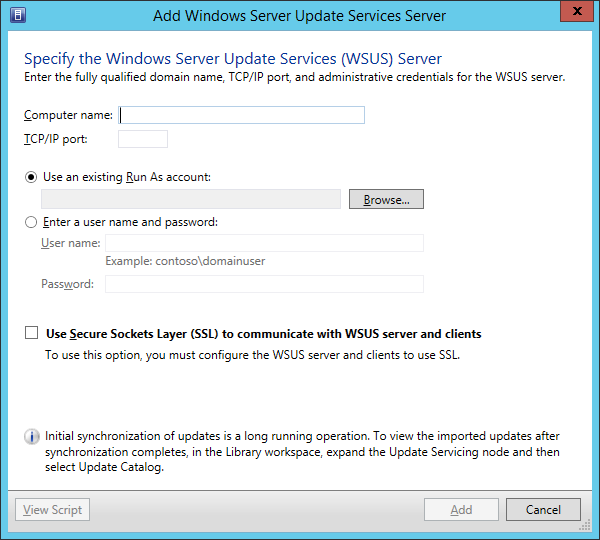 On the Add Windows Server Update Services Server dialog, provide the details about your WSUS Server (FQDN Name, and TCP Port). If you performed the default installation of WSUS, and are using the default Web Site configuration, the TCP port should be set to 80. 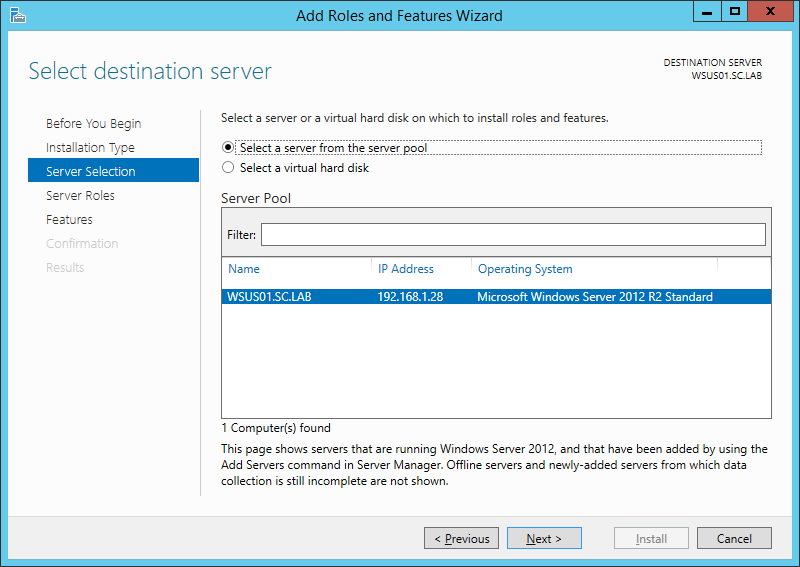 You can also specify to use an existing Run As Account, or provide credentials to the WSUS Server to SCVMM. After supplying all this information, click Add. After the WSUS server is successfully added in SCVMM, you will be able to manage the WSUS settings from the SCVMM console (i.e. the Update Products, Classifications, etc.). In the next part of this series, we will Create Update Baselines and apply updates. Recently, I assisted a client that was experiencing an issue/error with SCVMM. The client was using SCVMM 2008 R2. Although the issue eventually was resolved, I took the opportunity to educate the client on some of the enhancement/improvements with the SCVMM 2012 product. One of the best improvements with the product is the ability to patch your Hyper-V hosts (whether they are in a cluster or not). We’ve all been on that Operations team, where someone will get stuck with the after-hours/weekend task of patching the Hosts; involving the routine of migrating the VMs off the Host, patching/rebooting (maybe even multiple times), then migrating the VMs back over. Lather, rinse, repeat; until the cluster was fully patched. And this would go on, month after month, year after year. 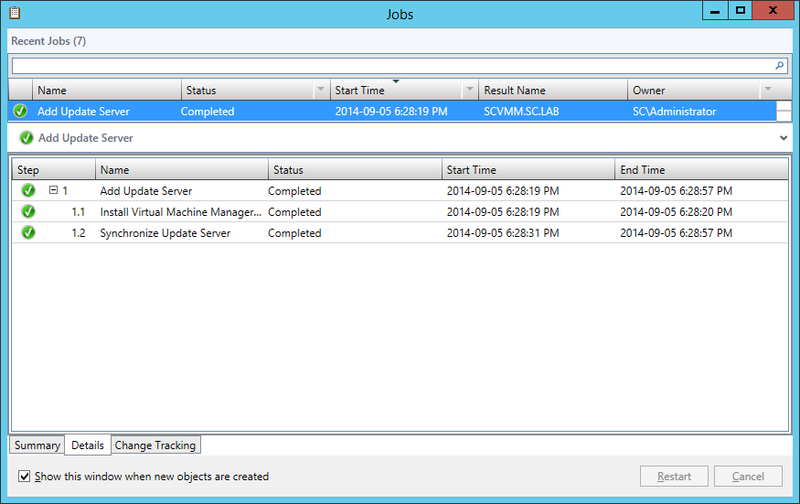 Now, SCVMM 2012 will do this automatically for you! So, let’s show you what you need to setup this up, and how to use it. You will first need SCVMM 2012 installed. If you need some guidance on how to install the product, take a look at my SCVMM 2012 SP1 Install & Config Guides to get you started. You will also need to have a WSUS server. 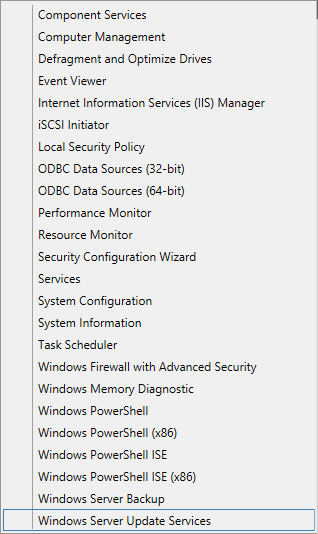 This can either be the WSUS Server Role installed on the SCVMM server, a dedicated WSUS server, or even share the WSUS server that SCCM uses (if you are using SCCM, and it’s Patch Management). 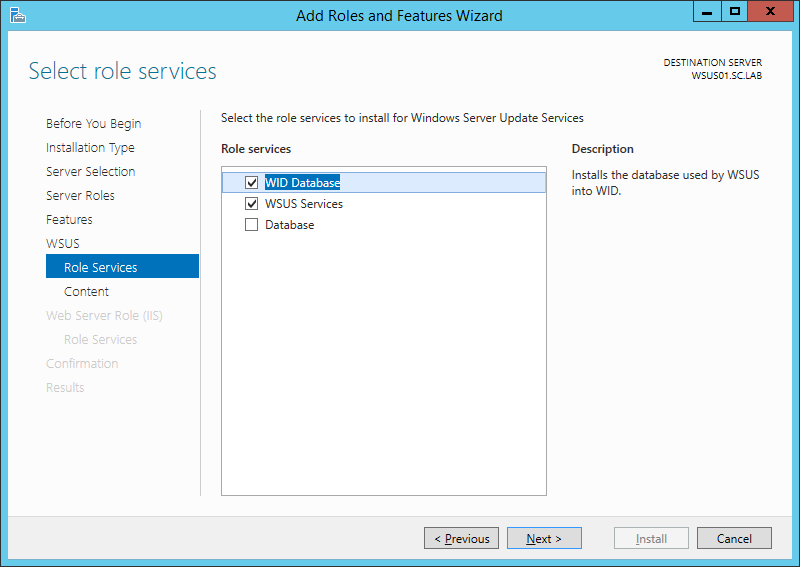 Log on to the server on which you plan to install the WSUS server role by using an account that is a member of the Local Administrators group. 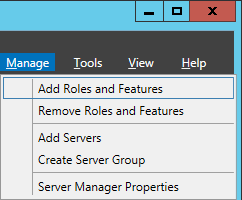 In Server Manager, click Manage, and then click Add Roles and Features. 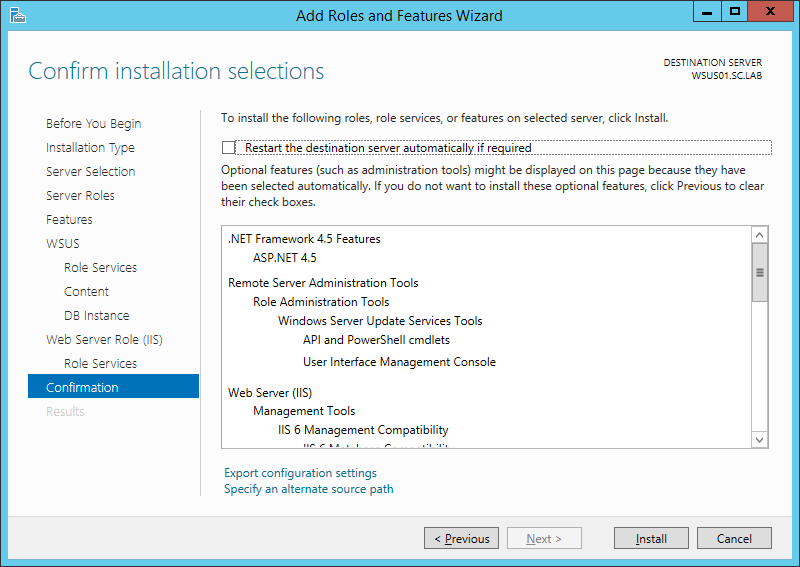 In the Select installation type page, confirm that Role-based or feature-based installation option is selected and click Next. On the Select destination server page, choose where the server is located (from a server pool or from a virtual hard disk). 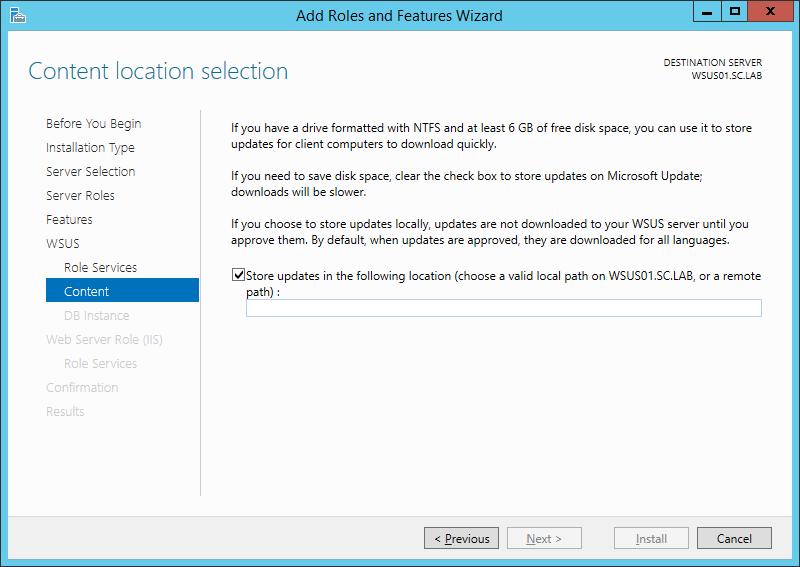 After you select the location, choose the server on which you want to install the WSUS server role, and then click Next. 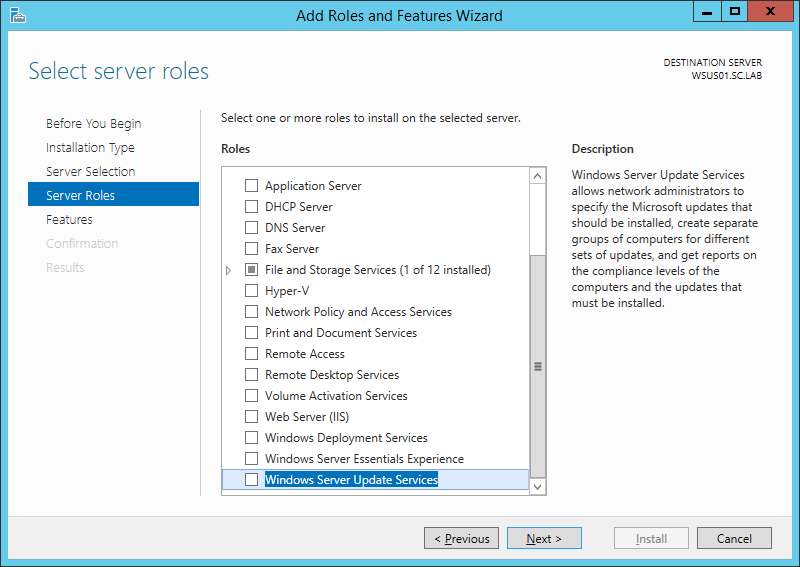 On the Select server roles page, select Windows Server Update Services. 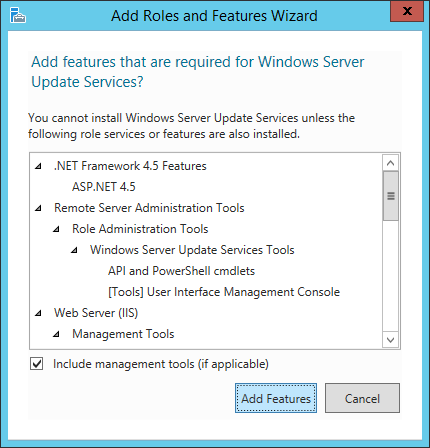 Add features that are required for Windows Server Update Services opens. Click Add Features, and then click Next. On the Select features page. Retain the default selections, and then click Next. 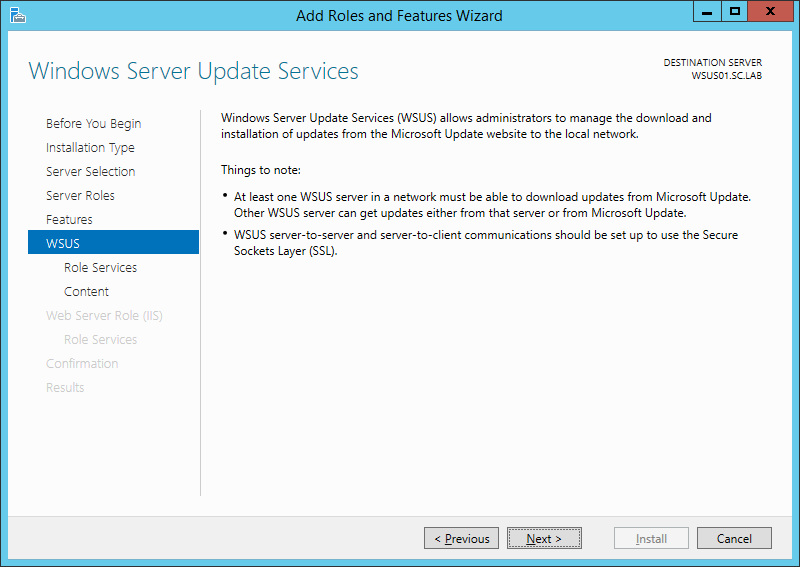 Important: WSUS only requires the default Web Server role configuration. 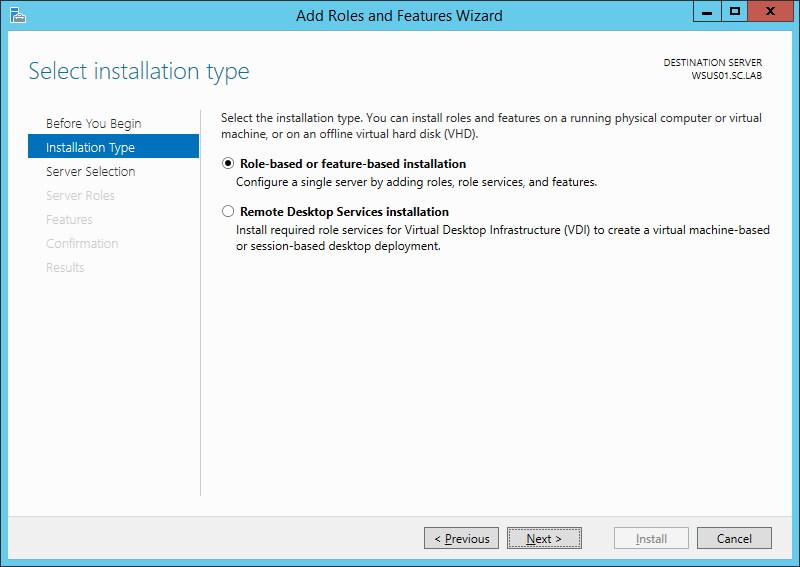 If you are prompted for additional Web Server role configuration while setting up WSUS you can safely accept the default values and continue setting up WSUS. On the Windows Server Update Services page, click Next. 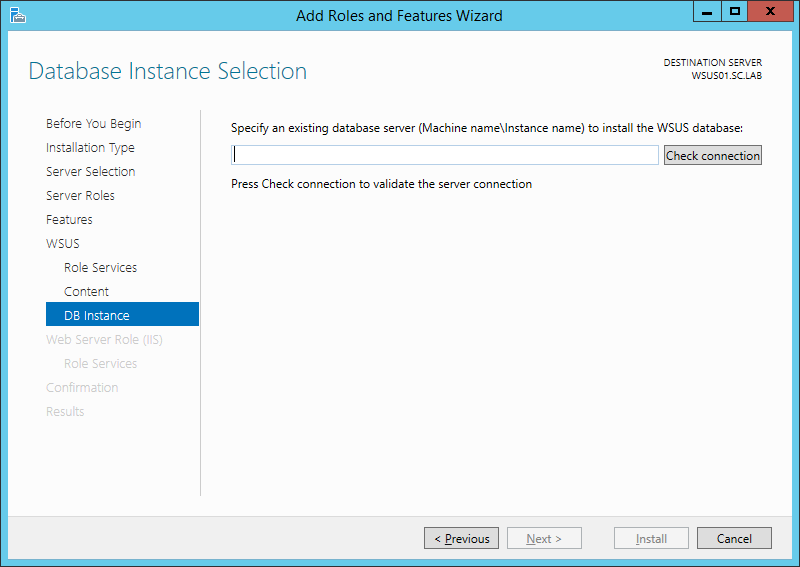 On the Select Role Services page, either leave the default selections or change “WID Database” to “Database” (if you want to use a SQL Server), and then click Next. Tip: You must select one Database type. If the database options are all cleared (not selected), post installation tasks will fail. On the Content location selection page, type a valid location to store the updates. For example, you can create a folder named WSUS_Updates at the root of a drive. Type this directory as the valid location (i.e. D:\WSUS_Updates). Then click Next. If you changed the “WID Database” selection to “Database”, you will then be presented with the Database Instance Selection page. On this page, provide a SQL Server and Instance Name, then click ‘Check Connection‘. Only after a successful connection is made, will you be able to click Next. 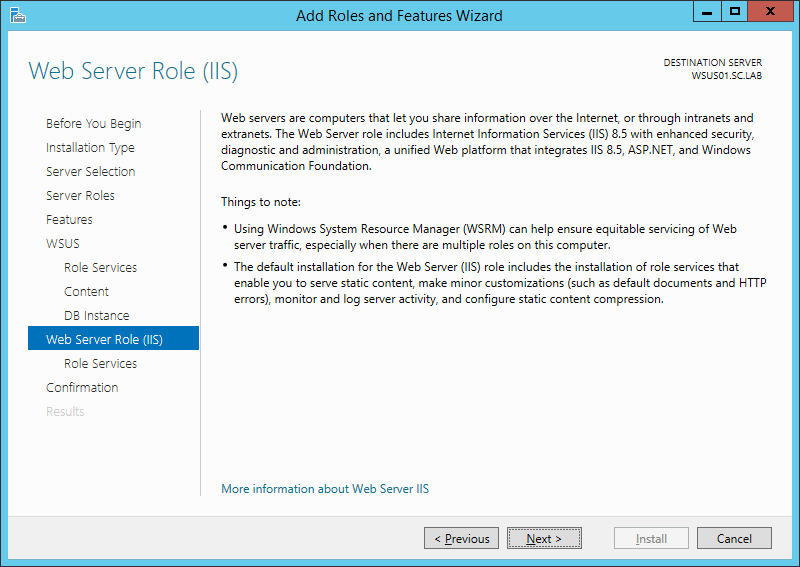 The Web Server Role (IIS) page opens. Review the information, and then click Next. 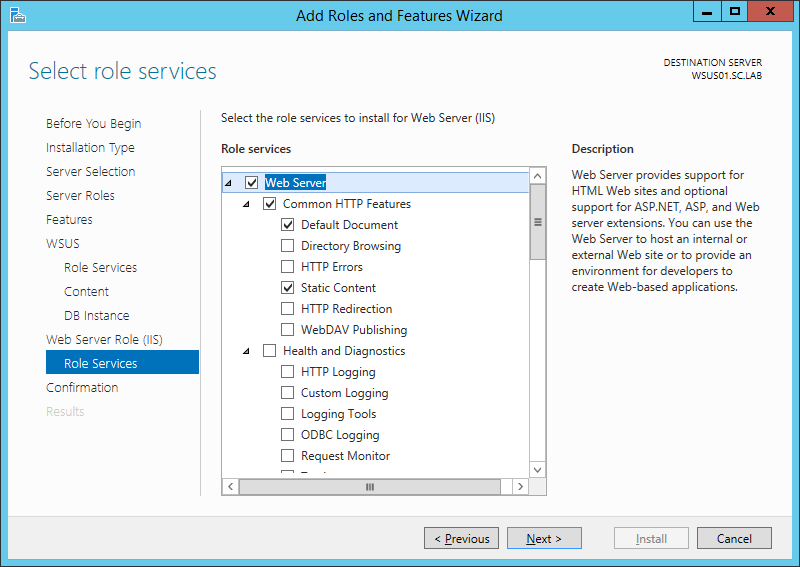 In Select the role services to install for Web Server (IIS), retain the defaults, and then click Next. On the Confirm installation selections page, review the selected options, and then click Install. 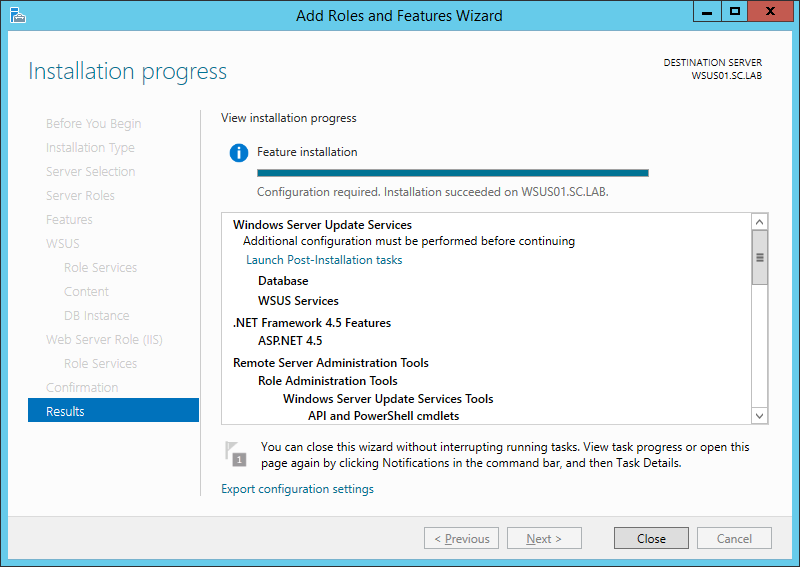 The WSUS installation wizard runs. This might take several minutes to complete. 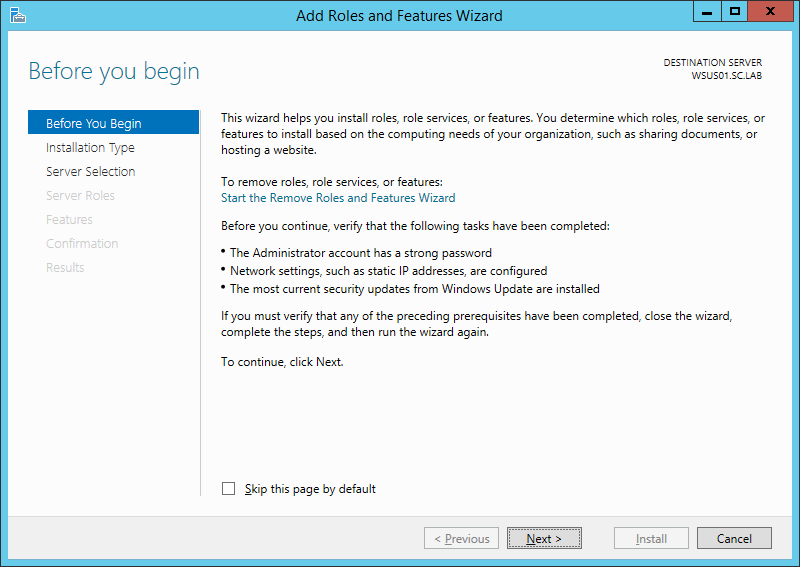 Once WSUS installation is complete, in the summary window on the Installation progress page, click Launch Post-Installation tasks. The text changes, requesting: Please wait while your server is configured. When the task has finished, the text changes to:Configuration successfully completed. Click Close. 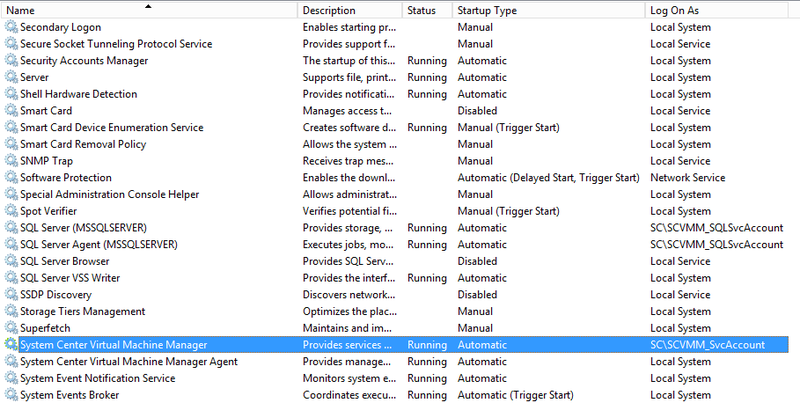 In Server Manager, verify if a notification appears to inform you that a restart is required. This can vary according to the installed server role. If it requires a restart make sure to restart the server to complete the installation. In the next part of this series, we will go through some Additional Configurations required.